Editor’s Note: This article has been updated to reflect a clarification on the developer’s agreement. The article incorrectly referred to the developer’s agreement as including monetary funds. In fact, the developer’s agreement grants the lot of Habitat to build the house according to affordable housing regulations to ensure the township receives credit toward its affordable housing obligations. The Times regrets the error. MANCHESTER – One family in need will soon have a roof over its head that they own. 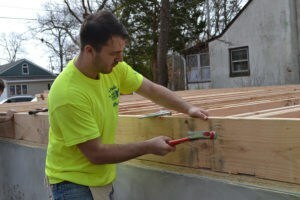 Manchester Township has entered into an agreement with Northern Ocean Habitat For Humanity, Toms River, to donate a lot and funds for the construction of a single-family home on Route 571, just south of the Route 70 intersection. The agreement, called a developer’s agreement, grants the lot of Habitat to build the house according to affordable housing regulations to ensure the township receives credit toward its affordable housing obligations. Council president Samuel Fusaro told The Manchester Times the township sold Habitat a parcel last year to build a single-family house as well. The deed is not yet in hand at press time; the property is being contested in court, which is not unusual, Dave Applegate, president of Northern Ocean Habitat For Humanity, said. Applegate is a professional engineer who now is senior vice president of water resources at J.F. Kiely Group, Long Branch. He expects that will be resolved in Habitat’s favor by mid-April. 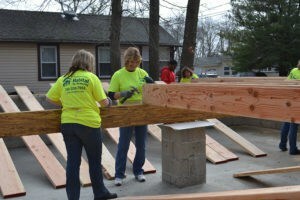 Northern Ocean Habitat For Humanity, based in Toms River and an affiliate of the international organization, has partnered with Manchester and other local municipalities, including Berkeley and Toms River, to help those towns fulfill their affordable housing obligations, now set by the courts. A developer may donate a lot, as well, or Habitat may purchase a lot to build houses for those in need. Once a lot is secured, Habitat conducts inspections on the property to ensure the site is suitable for building. At the same time, an ad hoc homeowner selection committee solicits applications from interested families, putting them through a rigorous vetting process that whittles the pool from sometimes more than 100 to one, who will get to call that house their home. 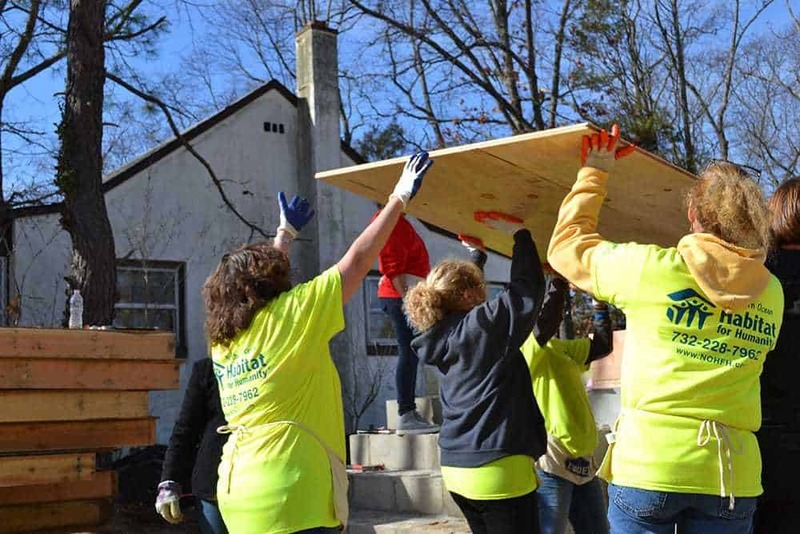 Habitat For Humanity homeowners pay their mortgage to the organization itself, which doesn’t charge for profit or interest. The mortgage covers the cost of materials; Habitat builds homes using volunteers and the families receiving those homes. Those funds go into a revolving fund that helps build more houses. The entire process length varies. Once the parcel is settled, the time from start to finish depends on the number of volunteers who work, how quickly Habitat can raise funds for the materials to build the house, and secure monetary and supply donations. Applegate said Habitat won’t start a project until it has the money in hand. 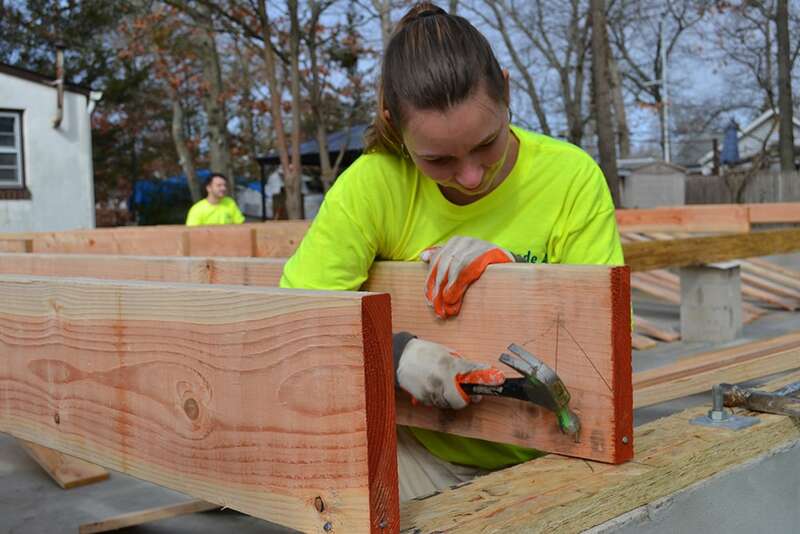 Northern Ocean Habitat For Humanity is currently building a house in Toms River, on a lot that was donated by the township. Applegate said that project is going “extremely fast.” Ground broke in December, and by the end of March, the house was completely enclosed. That house will likely be dedicated by mid-June. But that’s one of the faster builds. Slower, and likely more typical, builds can take more than a year to complete. 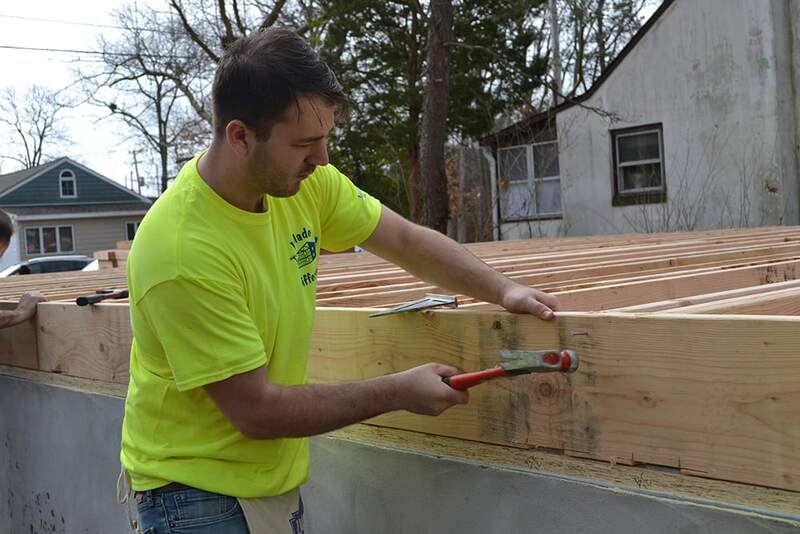 Northern Ocean Habitat For Humanity has completed 17 new homes, 60 Hurricane Sandy critical home repairs and over 140 home repairs in northern Ocean County. Four of the 17 homes are part of a neighborhood revitalization initiative in the Manitou Park section of Berkeley Township. Applegate anticipates its next lot will be an oversized lot that Habitat may subdivide and build two houses. 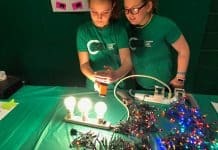 For information about Northern Ocean Habitat For Humanity, visit nohfh.com. Ocean County native Jennifer Peacock is a community journalist and photographer. 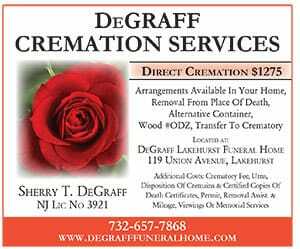 She’s written for weekly and daily newspapers in New Jersey, New York, Pennsylvania and Virginia for more than 20 years. Readers can contact her at jpeacock@jerseyshoreonline.com.